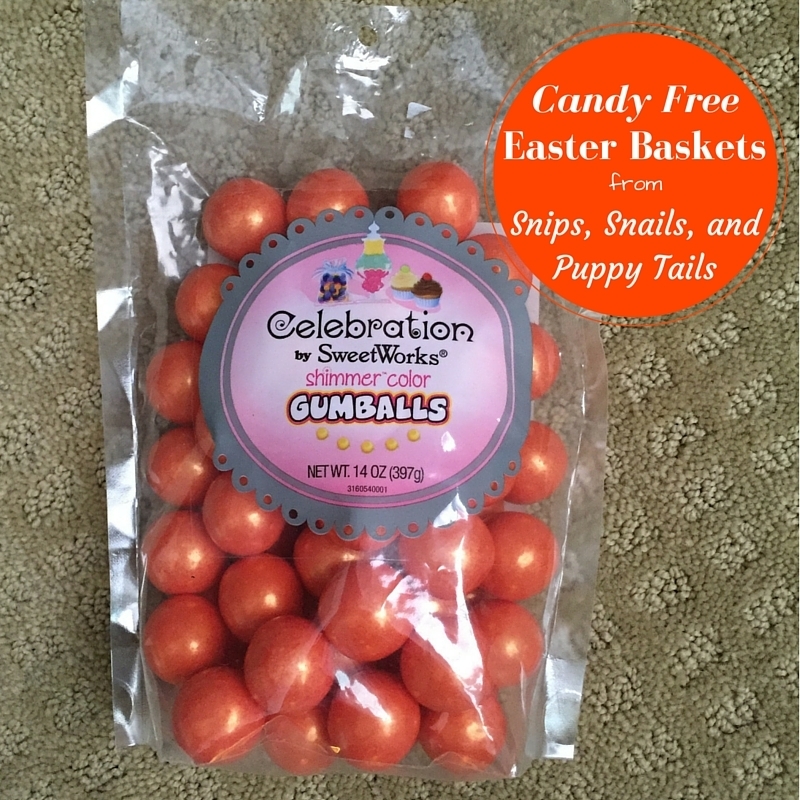 Easter is filled with candy from baskets to eggs. This creates a huge sugar overload for my 4 guys! 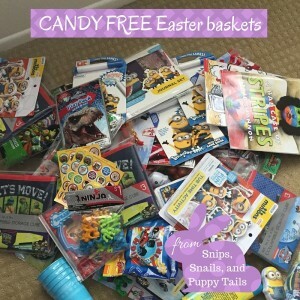 This year I decided to eliminate candy from our baskets, and it was actually super easy! My boys LOVE gum, so this is a good compromise for us! We use gum in our house everyday for oral sensory issues with one of my sons, so this huge bag was perfect. This bag of gumballs was on clearance at Target for $1.50! I had to buy 4! Thanks to All Things Target and Hip2Save I saved on all of my candy free fillers. 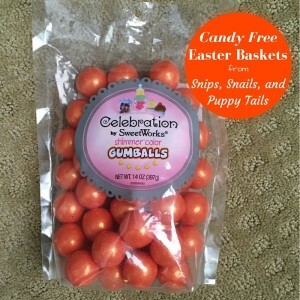 I stocked up all year long and purchased almost everything at 70% or 90% off at Target, so I saved big and avoided candy! 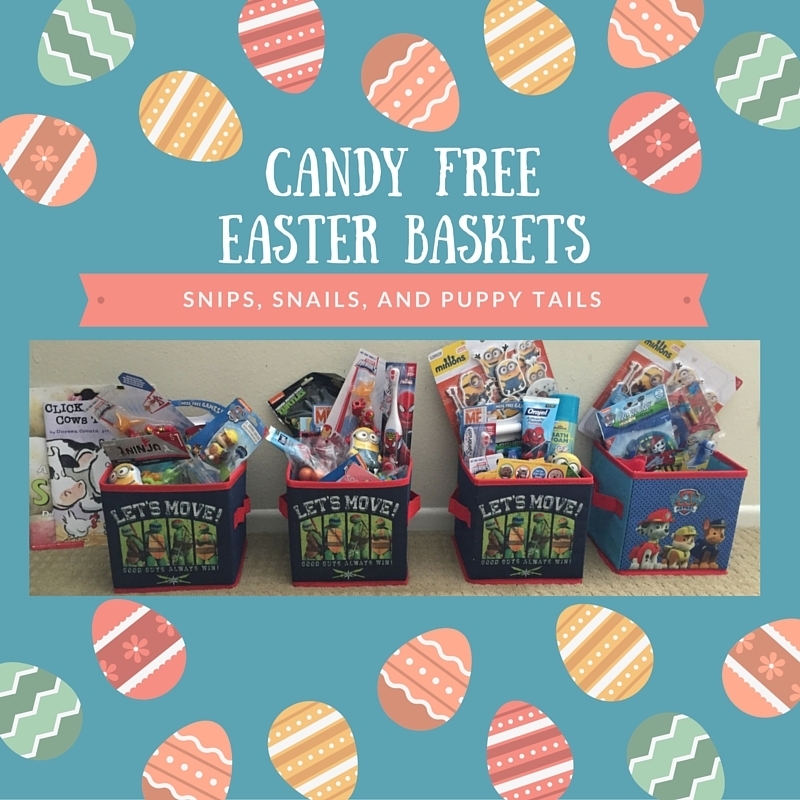 If you didn’t stock up this year, you can still hit up the dollar bin at Target or the clearance section of Target, Michaels, or Hobby Lobby to fill your baskets with low priced, candy free goodies (if you’re looking to save some dough)! 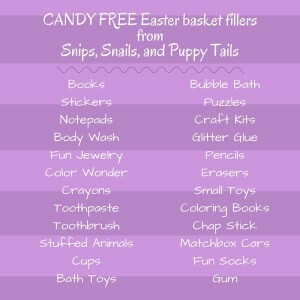 Good luck filling those baskets with this list of super fun, candy free goodies! 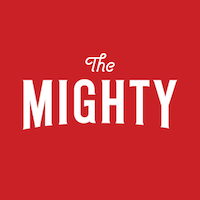 If you liked these ideas, follow us on Facebook for all things boys, parenting, marriage, and special needs!